Does earning a Bachelor of Science in Nursing (BSN) lead to significant increases in salary? The answer, it seems, is not so simple. 36 Registered Nurses (RN’s) enrolled in an RN to BSN program. shared their thoughts on the matter. Most responders agreed that there is little difference in pay between a diploma, Associate Degree (AD), and BSN nurse in the same position. However, many students predicted they would see more money in the bank after graduation. 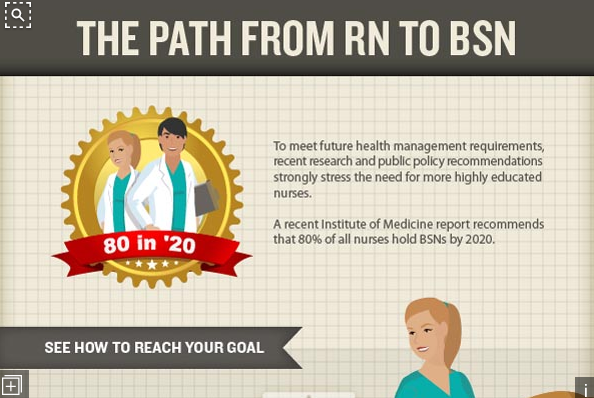 Survey responders reported that earning a BSN leads to more promotion opportunities, which translates into higher pay. Students expected to be more marketable to potential employers at the completion of the RN to BSN program. Many also predicted a future that will involve more distinctive pay differences between diploma, AD, and BSN nursing professionals. The majority of RN to BSN program students cited personal satisfaction as more important than salary increases. “Money should never be the motivation for returning to school,” said a 25-year-old student. RN to BSN program credentials come with higher rewards, such as being a better patient advocate and agent of change. Another student viewed higher education as a duty to the profession of nursing. Completing an RN to BSN program promotes higher education for nurses, which elevates the field to a position of higher respect. For more information about completing an RN to BSN program, prospective students are encouraged to fill out an information request form from the school of their choice. Additional nursing resources are also available through College-Pages.com, the leading education and career resource website.